When thinking about our favorite warm weather fruits, raspberries immediately come to mind. They’re definitely a favorite berry so we started thinking infusing them into whiskey for a new take on the classic Manhattan cocktail, which uses cherries. 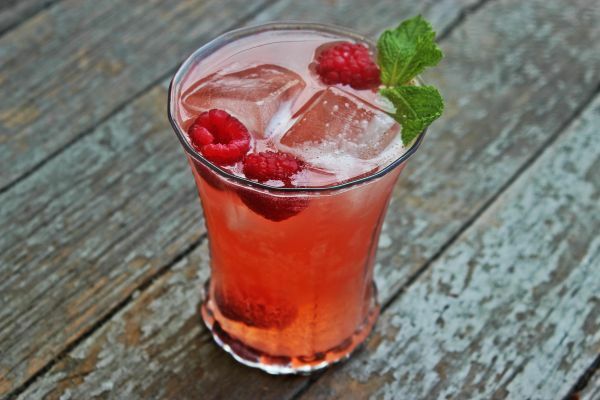 Fill a shaker with ample ice, the lemonade and the raspberry-infused whiskey. Shake thoroughly until mixture is chilled and combined well. Fill a lowball glass with a large cylinder or square ice cube. Strain drink mixture into the glass. Garnish with raspberries and mint. Serve!